USS Los Angeles. View of the airship USS Los Angeles (ZR-3) moored to USS Patoka (right), with a passenger steamship passing at left. 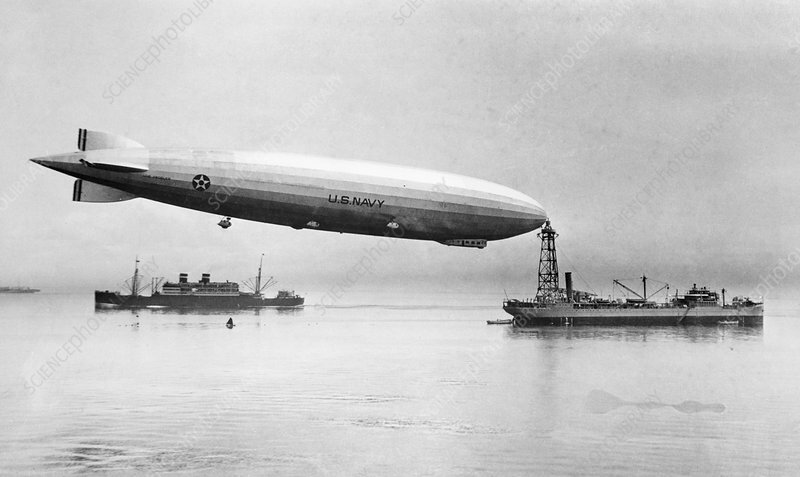 USS Los Angeles was a rigid airship launched in 1924. It was used mainly for experimental work, particularly in the development of the American parasite fighter program, and was decommissioned in 1932. Photographed circa 1925-1932.